Philip St. George Cocke (April 17, 1809–December 26, 1861) was a brigadier general in the Confederate army during the first year of the American Civil War. He is best known for organizing the defense of Virginia along the Potomac River soon after the state’s secession from the Union. He commanded troops in the battle of Blackburn’s Ford and the first battle of Bull Run (first Manassas) in July 1861 before becoming despondent and committing suicide. Philip St. George Cocke was born at Bremo Bluff in Fluvanna County, Virginia. 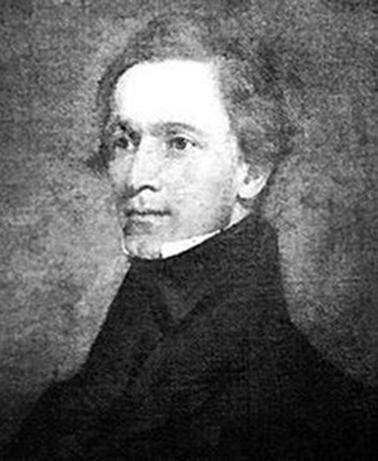 His father, John Hartwell Cocke, had been an officer in the US Army during the War of 1812. Cocke graduated from the University of Virginia in 1828 and then from the US Military Academy in 1832 with the rank of brevet second lieutenant. He was soon assigned as second lieutenant to an artillery unit in Charleston, South Carolina. He served there during 1832 and 1833, becoming adjutant of the Second US Artillery on July 13, 1833. On April 1, 1834, Cocke resigned from the military and became a cotton planter in Powhatan County, Virginia, and in Mississippi. He married Sallie Elizabeth Courtney Bowdoin on June 4, 1834. Cocke became an accomplished agriculturist, publishing frequent articles in journals as well as a book on plantation management, Plantation and Farm Instruction, in 1852. From 1853 to 1856, Cocke was president of the Virginia State Agricultural Society. In 1859, concerned by John Brown’s raid on Harpers Ferry, he organized a militia infantry company known as the Powhatan Troop to help defend Powhatan County in case of a similar action or a slave revolt in the future. Under Lee’s orders, Cocke organized a new defensive line at Manassas. Cocke may have been the first to formulate the Confederate defensive strategy of concentrating forces at Manassas and at Winchester in the Shenandoah Valley, and using the Manassas Gap Railroad to allow them to be mutually supporting. This strategy would be a decisive factor in the Confederate victory in the first battle of Bull Run. When Virginia’s state forces were consolidated with the Provisional Army of the Confederate States, Cocke was given the rank of colonel in the new CSA forces. Because of this effective demotion, Cocke was superseded in command at Manassas on May 21 by Brig. Gen. Milledge L. Bonham. Cocke was eventually assigned to the army of P. G. T. Beauregard who commanded the Fifth Brigade, consisting of the Eighth, Eighteenth, Nineteenth, Twenty-eighth, and Fortyninth Virginia Infantry regiments. His brigade was initially assigned to Centreville but, in the face of advancing Union forces, withdrew behind Bull Run on July 17. Beauregard officially thanked him for his ability shown in strategic movements at the battle of Blackburn’s Ford. On July 20, Cocke was stationed at Ball’s Ford on Bull Run. In the subsequent first battle of Bull Run on July 21, 1861, Cocke was assigned to advance against Centreville, a plan abandoned when the Federals began their flanking movement against the Confederate left. While Col. Nathan George Evans, reinforced by Brig. Gen. Barnard Bee and Col. Francis S. Bartow, opposed the enemy, Cocke’s forces defended against attack in the vicinity of the Stone Bridge, with his headquarters at the Lewis house. At 2 p.m., about an hour before the arrival of Elzey, he led his brigade into action on the left with “alacrity and effect.” He was promoted to brigadier general in the Confederate army on October 21 and given command of the Third Brigade, Third Division of the Confederate Army of the Potomac. First Bull Run was Cocke’s last battle. After eight months’ service, during which he was promoted to brigadier general in the provisional Confederate army, he returned home, “shattered in body and mind.” Exhausted from the strain, and despondent over perceived slights from General Beauregard stemming from the Battle of Manassas, Cocke shot himself in the head on December 26, 1861, at his mansion, “Belmead,” in Powhatan County, Virginia. He was initially buried on the plantation grounds, but he was reinterred in 1904 at Hollywood Cemetery. Sources of information: Appletons' Cyclopaedia of American Biography. Davis, William C. "Philip St. George Cocke," The Confederate General, Vol. 2, Davis, William C. and Julie Hoffman (eds. ), National Historical Society, 1991. Davis, William C. Battle At Bull Run: A History of the First Major Campaign of the Civil War. Mechanicsburg, PA: Stackpole Books, 1995. Eicher, John H., and Eicher, David J. Civil War High Commands, Stanford: Stanford University Press, 2001. Evans, Clement. "Philip St. George Cocke," Confederate Military History, Volume III. Atlanta: Confederate Publishing Company, 1899.